How you can help a wedding photographer by getting the best photographs. Remember you are a co-creator when it comes to wedding photography, unlike other services that you hire for your wedding, where you can ask them to do something and sit back and watch it happening. Wedding photography can be possible only if you (bride and groom) are involved in it - in the right way. So what is that right way?? Let's see!! 1. Sit and discuss with your wedding photographer the kind of images you like and ask him if will be able to do something like this, this is the first thing to be done! Each wedding photographer is unique way capturing the event. What can go wrong: Do not tell him to "give his best" and then come up with the works you like, once the shoot is over. Very little can be done to fix your ideas. 2. Some of the best shots that happen in a wedding are during the "getting ready" session. Make sure that the photographer is there during the final stages while your makeup was done, the best candid photographs happen during this time. What can go wrong: Telling your photographer that there is no time for the shoot now or calling your wedding photographer after completely getting ready, of course he can take some nice clicks in your room and recreate a few scenes but nothing like the candid shots while you are getting ready with the bride's maids around. What can go wrong: if you are moody, tensed, unhappy with something that had happened and not really excited on what is happening on your wedding eve/wedding day then do not expect any great photographs. Period. 4. If you are very specific of the a family portraits or if there is a VIP in your wedding, it's up-to you to inform the photographer to keep an eye on them and ask him to take some extra clicks. For a photographer other than your parents, immediate relatives and close friends ( who keeps bumping into you most of the time) everyone will be treated as equals. What can go wrong: Telling your photographer that you are tired! Remember you had time for everyone on your wedding, now spend some time for yourself . Negotiating the price: Wedding photographers are available at all price ranges. 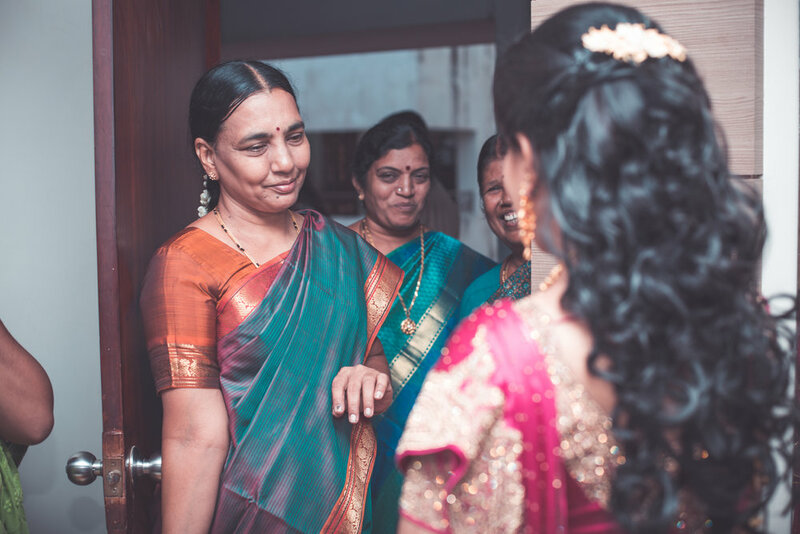 You can hire a wedding photographer in Chennai starting from 45,000/- for a complete package and there are photographers who charge 4.50,000/- just for candid photographs - almost always.